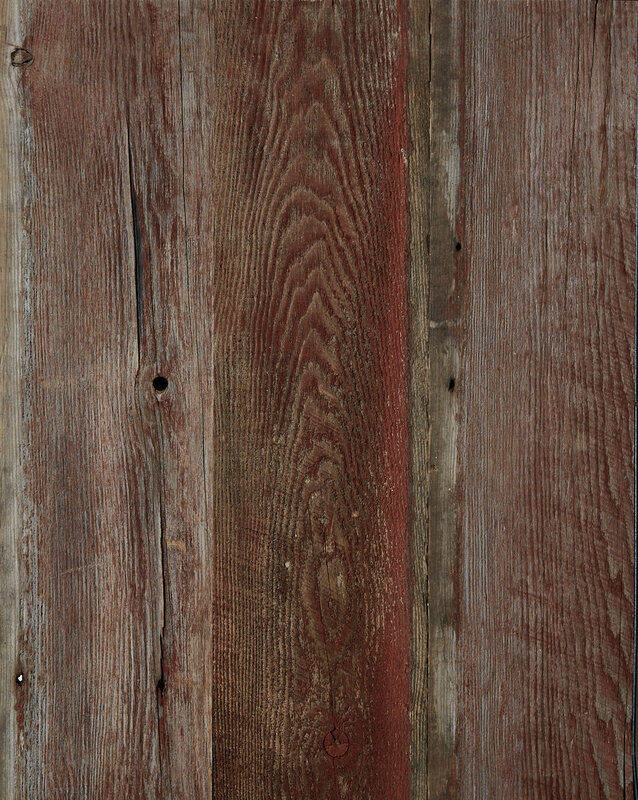 Reclaimed Painted Barn Siding is repurposed from the cladding of historic barns and other agrarian buildings found throughout New England. The rugged life of each board is revealed in the original flaked paint, nail holes, scarring, and checking. Reclaimed Mixed Pine. Flat Sawn. Original Painted Face. Solid. 3/4" x 8" x 2-12'+. Character Grade. Back Planed & Straight Line Ripped. Square Edge. Original Red Paint.